The AHS is indebted to The Jockey Club for the use of the Rowley Mile course facilities and Jockey Cub Estates land for the Centenary Marathon. No crews are allowed on course, and entrants must not ride on any all-weather surfaces. 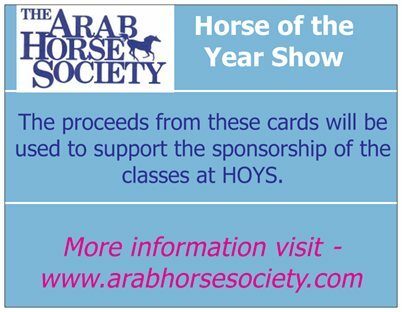 Owners and riders need not be members of the Arab Horse Society. Open to any breed. 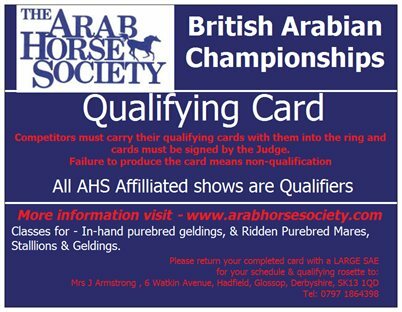 All horses must be 14.2 hh or over except pure bred Arabs. Horses must be 7 years old and over. Riders must be 16 years old and over, however all riders between 16 and 18 years of age must have parental permission. or: have completed at least one race under ARO or Jockey Club rules and one Endurance ride of at least 40 miles (64 km) in the current season, ridden by the competitor entering the Marathon. Proof of all qualifications must be sent to the entries secretary with the entry form. Qualification from other disciplines will be considered. or: because of this year’s exceptional weather, completed one minimum 64km endurance ride/race or one race under ARO rules. Additionally, previous Marathon winners and runners up riding fit, experienced horses that they have not necessarily qualified themselves may also enter. Qualification from other disciplines or hunting will be considered if ridden by the competitor entering the Marathon. 7. Minimum weight carried must be 11 stone/70kg, including saddle, hat, breast plate or breast girth and bridle. Competitors must Weigh Out and Weigh In. 8. Breast plates or breast girths are compulsory. In addition a surcingle is compulsory if using a racing saddle. 9. Riders’ hats (to BSI safety standard BSEM1384/ASTMS1163/PAS015 or above) must be worn and securely fastened together with safe clothing and footwear. No jeans; no head or body cams. 10. Whips and spurs are not permitted. 11. The Marathon will follow the AHS drug testing policy rules. The responsibility for safety and security of the horse lies with the owner/rider/crew. 12. It is compulsory for every rider to bring two helpers and to attend the briefing at 9 o’clock on Sunday morning. Riders and helpers should accept any advice given by stewards/officials and veterinary officers regarding after-care. All crews must remain at the vet gate after the start of the race; their mobile numbers to be entered on the entry form. Each horse is limited to two crew. No horses may be crewed until they have been timed into the crewing area. Horses will have to achieve a heartbeat of 64bpm or lower and complete the Ridgeway Test successfully. The second pulse rate will only be used as an indicator of the horse’s recovery rate. If failed, on pulse, the competitor has one more chance to present to the veterinary officers within 30 minutes of arrival at the vetgate. There is then a 15 -minute hold period (if this is to be changed, you will be informed at the briefing) before competitors can restart on the course. A lame horse will not get a second chance to present. The officiating veterinary surgeons will decide whether the horse is fit to start or continue the Marathon. Their decision is final. There is no appeal. 14. The Winner is the first horse ridden over the Finish line, subject to passing the veterinary inspection. On finishing, the horse and rider must immediately go to the Hold area of the vet gate where the horse must be presented to a vet for the final vet check within 30 minutes of finishing. Subject to passing this veterinary inspection at the end of the race, when the horse must have recovered sufficiently to prove that it has not been metabolically compromised, the finishing order will stand. A veterinary officer will be present in the Hold area at the finish. Any horse not entering the Hold area on finishing will be disqualified immediately. If at any time during the day the horse is, in the opinion of a veterinary official, lame, sick or exhausted, it may be disqualified or eliminated. 15. Any horse that has not presented for the halfway vetting within 1hr. 45 mins of the start will be eliminated, and any horse not completing the event within 3hrs of the start will not receive a completion rosette. 16. All horses will be allowed home after the race subject to being cleared by the Marathon veterinary officers. The horses must remain at least 2 hours after the final vetting and receive a Fit to Travel pass before leaving the ground. If in the opinion of the veterinary officers, a horse needs to be stabled overnight, then the competitor must do so. Emergency stabling is available. 17. If a veterinary surgeon is summoned by a competitor on the course, that person must remain where he/she is until the vet arrives. 18. Any horse withdrawn for any reason during the race must be seen by a veterinary surgeon and must receive a fit to travel pass before being allowed to leave, which must be presented to the secretary when returning their number bib. 19. Crewing on any part of the course is forbidden. Breach of this rule will result in elimination of the horse concerned. 20. Outside interference is strictly forbidden. 21. Anyone other than Officials is not permitted access to any part of the course, including and especially, the racecourse itself, at ANY TIME DURING THE CONTINUANCE OF THE RACE for any purpose whatsoever without express permission form a member of the Committee. Breach of this rule results in a fine, and/or disqualification of the horse concerned. 24. It is compulsory for all competitors to be covered by Public Liability Insurance: Please give details on entry form. 25. Entries will not be accepted unless accompanied by the correct entry fees: AHS members: £110; non-AHS members £140. This includes lunch for rider and two crew members, plus souvenir bib. There will be no refunds after close of entries on 21 September 2018. Prior to this date, refunds will be made but a £10 administration charge will be deducted. All riders must provide the secretary of the day with the horse’s passport which will be returned after the compulsory 2 hour Hold and in exchange for the Fit to Travel pass. 26. Winner receives £1,000; prize money to 10th place, amounts to be notified after the closing date. All riders completing within the required time will receive a Centenary Marathon rosette. 27. All riders declare that their horse is not on any official rest period on the day of the race and that its owner/rider will comply with any rest period afterwards required by EGB or the FEI if it is to compete in any subsequent endurance event or race. The Organiser/Organising Committee of this event has taken all reasonable precautions to ensure the health and safety of everyone present. For these measures to be effective, everyone must take all reasonable precautions to avoid and prevent accidents occurring and must obey the instructions of the Organiser/Organising Committee and all Officials, Stewards and Veterinary Officers.